With the deep, warm finish of Uno Walnut, Strachan can make your space both welcoming as a study, while evoking an air of relaxation when converted into a bedroom. Softly pull the wall bed down and watch your room be transformed in a matter of seconds. 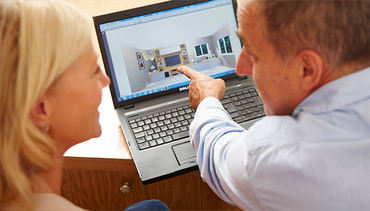 To complement the pull down bed feature, our design consultants can introduce fitted furniture units that reflect your every need, including a curved corner desk, CD storage and soft close bespoke cabinets, perfectly co-ordinating with the Toscana style. Along with convenient and clever wall bed designs, Strachan can provide a number of additional features for your multi-purpose room. 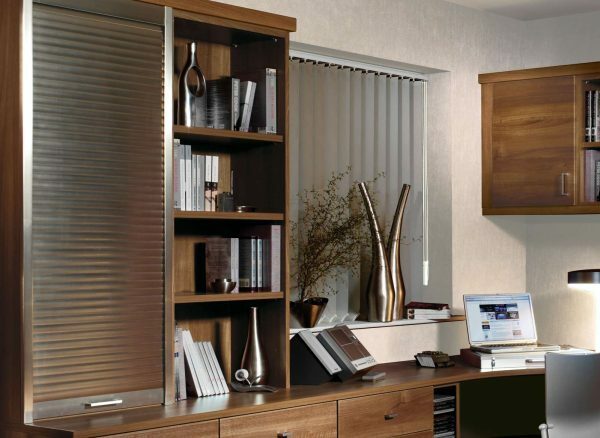 Our metallic finish tambour doors are the perfect solution for discreet and secure storage, providing protection when closed and easy access with a sliding open function. 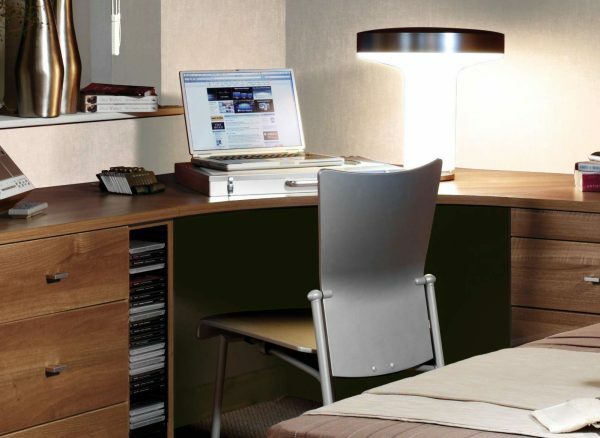 Create a dedicated work environment in any room with our bespoke desks. 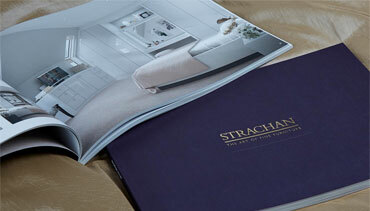 Your Strachan designer will make the most of your space with sleek and contemporary designs. 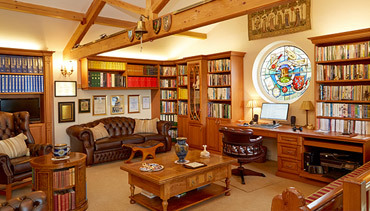 This work space has been cleverly curved, utilising every part of the room and delivering additional leg room for added comfort. Make the most of your room's vertical space with our overhead cabinets. 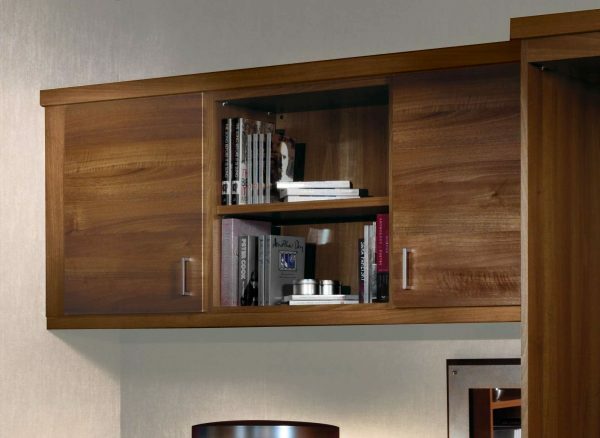 Fitted next to the wall bed carcase and finished in a matching Uno Walnut finish, these cabinets provide uniquely configured storage, while beautifully blending in with the rest of the furniture for a complete designer look.